Find your place in the world through map-making. 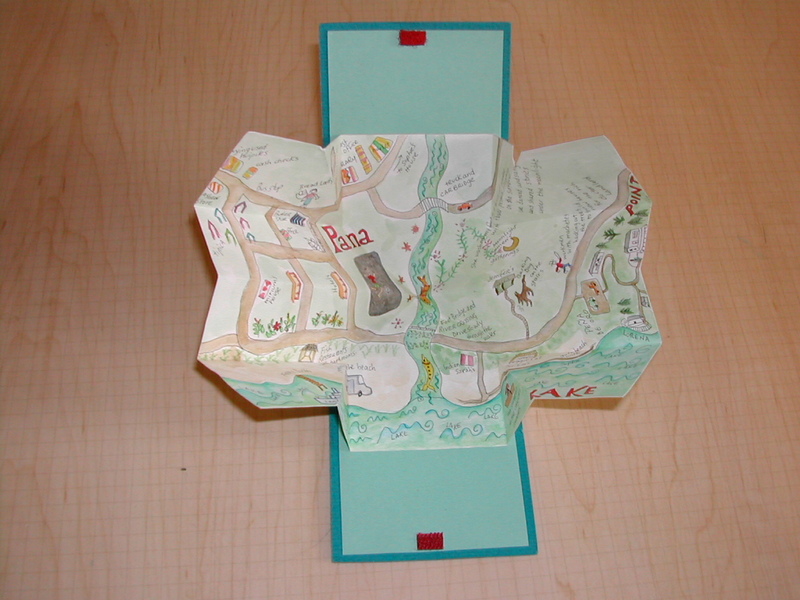 In this workshop, we'll draw a personal map – it can be accurate or imaginary. We'll add some decorative borders and a fancy cartouche. Personal maps can be geographical (a map of your bedroom or of your neighborhood). They can be poetic (a map of your heart) or thought-provoking (a map of your future). Or they can be just plain silly (a map of your stomach). 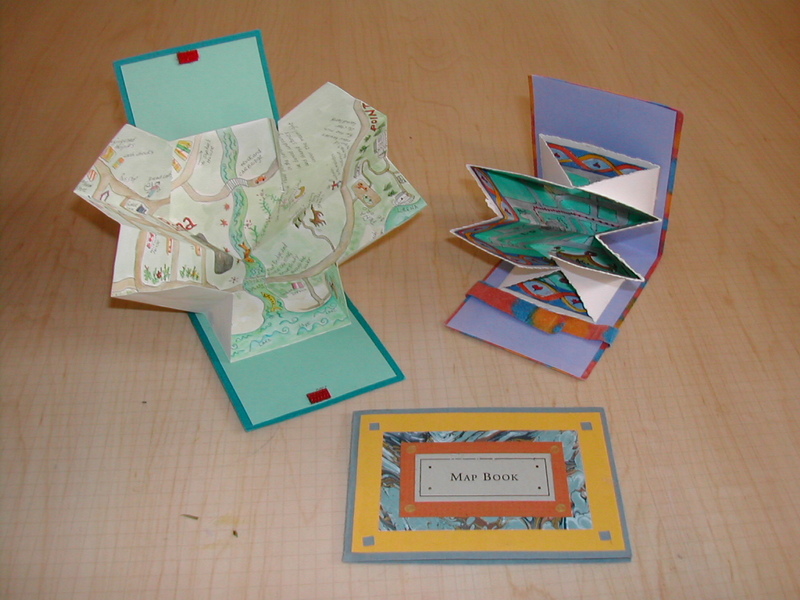 We'll learn the magic map-fold and create an "explosion" book with a clamshell cover that stays closed with velcro.